Let's talk about numbing cream. It is so crucial to your microblading procedure yet there is not very much information on different types. First off, why is numbing cream important? This seems like of course a basic and easily answered question but numbing cream is important to help take the pain or discomfort away from your clients. We want our clients to be as comfortable as possible because as their microblading artist the more relaxed they are will dramatically help your work. When we can tell the client is in pain many artists will lighten their pressure to help avoid the discomfort which gets them out of the dermal-epidermal junction aka "sweet spot" which is where you'll get the incredible retention of your strokes. It is hard to inflict pain on anyone so that is why I am always on the quest for the best numbing cream! Here are a few I have tried and can give you my opinion on pros and cons. Unfortunately, we can't get around this fact! Any procedure that requires us to break the skin and place pigment or ink into the skin will be painful. Luckily, we have numbing cream to help dramatically reduce the pain that is felt during the procedure. #1. There is no one magical numbing cream that will work for every single client. We all have different skin and genetics so each of us will process the numbing creams differently. We also have different pain thresholds so while a numbing cream might work amazingly their pain threshold might be lower than others. The good news is that we can cut down on this problem simply with education. Many patients are nervous about the procedure simply because they don't know what to expect and the unknown is often quite scary. As a rule of thumb, I educate my clients what to expect prior to starting. Simply letting them know that the procedure will hurt is enough to "prepare" them and reduce their discomfort by a large margin. Is it possible to make the procedure painless? Yes and no, but that shouldn't be your goal. There are definitely some clients who will not feel a thing, but this is rare and occurs around 20% of the time (1 in 5 clients). Instead of telling your clients not to expect any pain, it's better to tell them you will feel pain but we will do our best to manage it. This helps you set your expectations up front. I tell my clients that an average expectation and result is when they are at a 3-5 on a 1-10 pain scale. This way it prepares them to know it is normal to feel some pain but also to tell me if it's shooting way up to a 9 or a 10 (because this isn't normal!). It may be helpful to describe the pain of pain that they may be feeling and compare it to something that everyone is familiar with. I often describe microblading as an annoying tweezing sensation and most of my clients can relate to that description! In most situations, as long as you use numbing cream appropriately, your clients will be bothered more by the noise of the procedure rather than the pain. How do you know if your client will respond well to numbing cream? A great question to ask them is if they numb well at the dentist. Clients want to know if they will feel anything and I tell them it is entirely based on their genetics. If your client has a history of trouble getting numb with dental procedures then you can assume that they will probably not respond well to topical numbing creams. In addition, the genetics of your client also play an important role in determining how much numbing cream you will need and how quickly the numbing agent will wear off. This is because we all metabolize the numbing cream at different rates. Some will start very numb but their bodies go through it so quickly that they can feel like by the end of the first pass before we re numb. Also depending on the place, you are at in the brow also changes the sensitivity. The front bulb area is usually the most comfortable but there are more nerve endings as you go towards the arch and the tale of the brow. There are two very important aspects to numbing your client when it comes to microblading. The first is with the closed skin (meaning before the procedure) and the second is with open skin (meaning after you have cut into the skin). It's important to numb at both times for the best results! How you approach numbing your client is also important for the flow of your visit with the client. Some artists numb the client in the beginning and then draw the shape on and immediately microblade after the shape is on. Another method is to draw the shape then numb once you have the shape on the face (this is my preferred method). Using this approach allows for more time to apply the shape as opposed to rushing to get the shape on before the numbing cream starts to wear off. Numbing cream can be difficult to get, especially if you don't have a Doctor or medical director to write you a prescription. Luckily, there are several brands which are available over the counter and still work well! I've included a list of the various types and brands of numbing cream that I've personally used and can vouch that they are effective. Just realize that the strongest numbing creams do often require a prescription, while the numbing creams which are available over the counter are not quite as strong. But, because they are available (in places such as eBay and Amazon) you really don't have an excuse NOT to use one. When to use: Can be used for Open AND Closed skin. Where to buy: Available on Amazon & eBay. Where to buy: Not available on amazon. When to use: Can be used on CLOSED skin only. Where to buy: Only available with a prescription from a physician. Where to buy: Only available with a prescription from a physician (must get from a compounding pharmacy). How do you use numbing cream for best results? This is another important step because there are some tricks and tips you can use to help improve how effective your numbing cream will be. Is there a difference between the numbing cream used for Tattooing and microblading? The same type of numbing cream is used for both procedures. The only difference is that microblading is not quite as painful as tattooing is at baseline. This is because microblading does not go as deep as tattooing and the strokes require less surface area than a tattoo does. This results in less damage to the skin and fewer pain signals from the nerve cells! 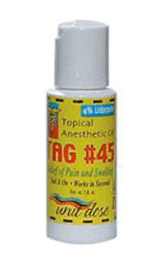 If you are getting a tattoo it's often best to use combination numbing creams such as those that contain tetracaine, lidocaine, and epinephrine. These numbing creams tend to be more potent and more powerful than the single ingredient numbing gels/creams. 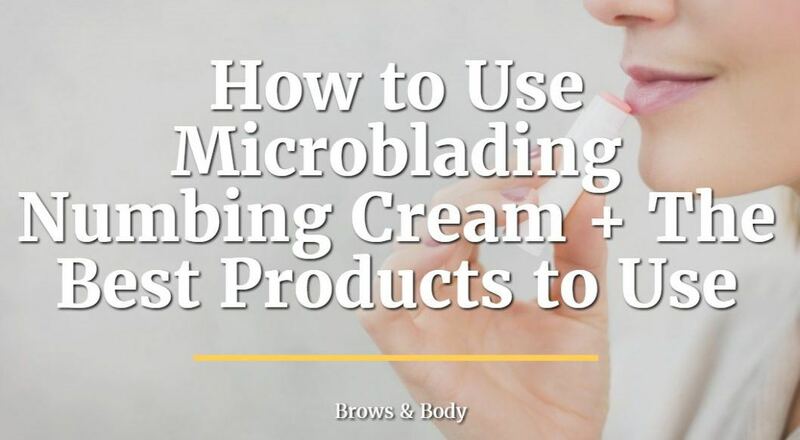 If you are practicing microblading make sure you understand the basics when it comes to using numbing cream. Using numbing cream will help improve your client satisfaction and will, therefore, improve your results and help build your business. If you aren't familiar with numbing cream you can practice on yourself until you understand how it works. Are you already using numbing cream on your clients? Do you have trouble getting your clients numbed?